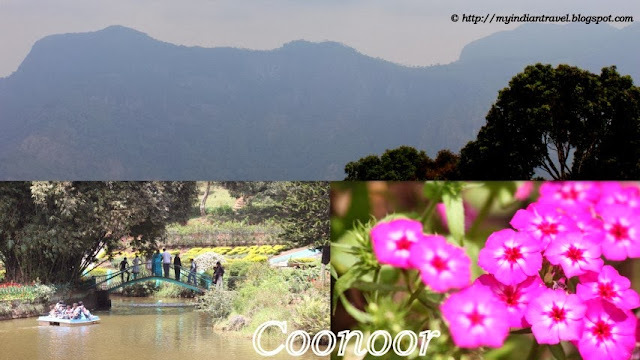 Coonoor is a famous hill station in the Nilgiris which is just 17 km away from Ooty. It is at a height of 1839 meters above the sea level. is the second largest hill station in the Nilgiri hills, first being Ooty. it is famous for tea gardens and tea factories. One can start their trekking expeditions into the Nilgiris by making this place as therir base. The place is known for its great picnic spots and picturesque surroundings. One can experience panoramic view of the lush green Nilgiri hills, with its ravines, valleys, mist-laden mountains from here. This place is also a paradise for birds watchers. what a pretty place to visit and picnic! Lovely post and photos! Coonoor is a beautiful place. Any day better than the crowded Ooty. Coonoor seems like a wonderful place. beautiful pics. Such a scenic place in the lap of nature . Perfect for a getaway! Such a lovely place and terrific captures as always, Rajesh!! Looks like a wonderful place to spend some time!! Have a good week!! Lovely greenery in your first shot! It's so beautiful. I can imagine spending several days there engrossed in the lush surroundings and taking photos. It sounds a wonderful cool place to enjoy the surroundings. Very beautiful hill station. Looks so bucolic and peaceful. What a beautiful area to have close by. It would be wonderful to spend a day...or several... here enjoying the tea, the scenery, and the hiking. Oh for some vibrant colours of flowers, lovely post! I love these beautiful photos, nice and beautiful landscape! and your images are a good promotion, it looks wonderful. Looks like a beautiful and lush place. that first scene is beautiful! I know I would love seeing the birds in this environment. All gorgeous color would be a treat. A lovely post - beautiful photos of a beautiful valley. So green, lush and beautiful! Looks like a lovely area to visit. The greenery , criss-crossing plantations and the avian species make a wonderful holiday in Connor. Such an incredible eden... Thanks for sharing so much beauty with us. indeed coonoor looks to be a beautiful place ..